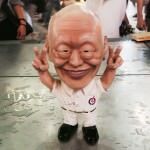 How to get more money? 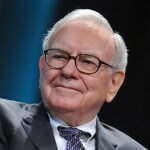 How to be more Wealthy? 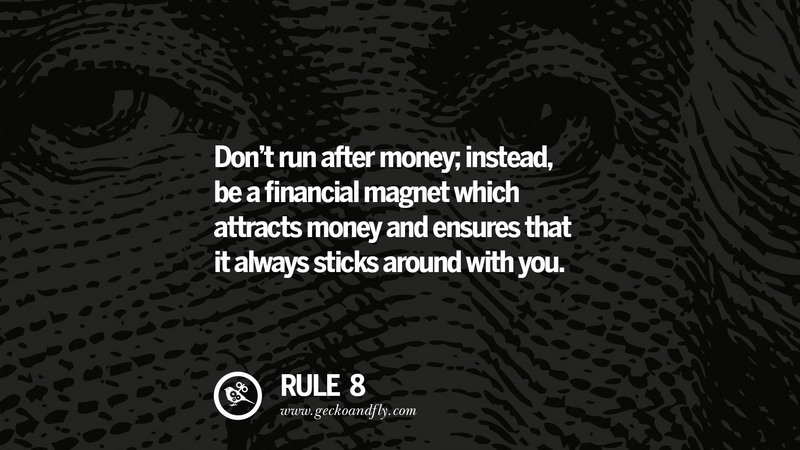 It is believed to be the yard stick for success, simply because almost everyone on earth is chasing after money. 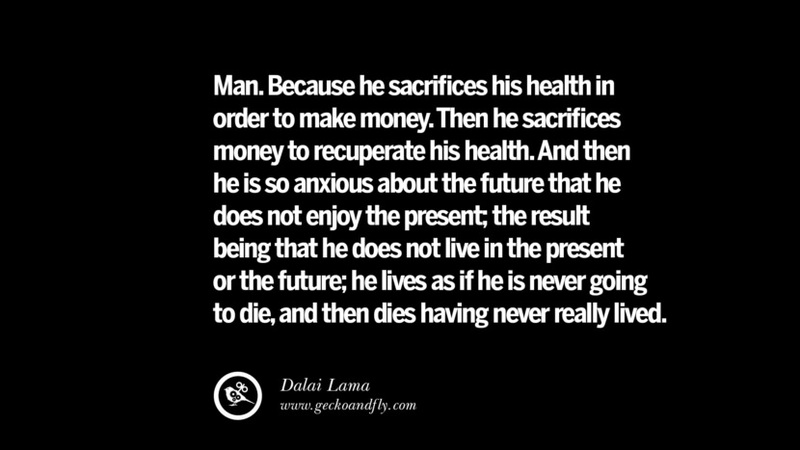 The ancient Egyptians had a beautiful belief about death. When their souls got to the entrance to heaven the gods asked them two questions. 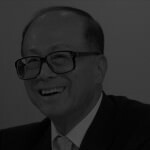 Their answers determined whether they were admitted or not. 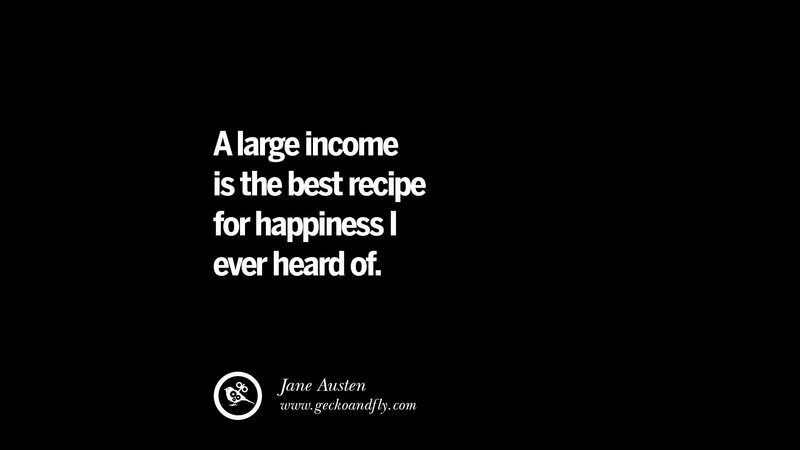 The first question is, have you found joy in your life? 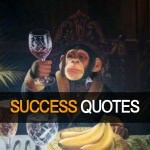 If the answer is yes, the following question will be has your life brought joy to others? 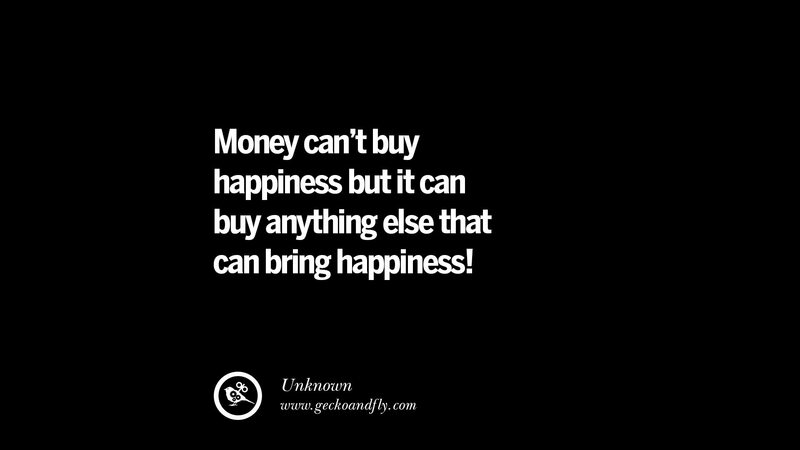 Accumulating wealth without bring joy to other people’s life means nothing, we come to this world empty handed and we shall leave empty handed too. 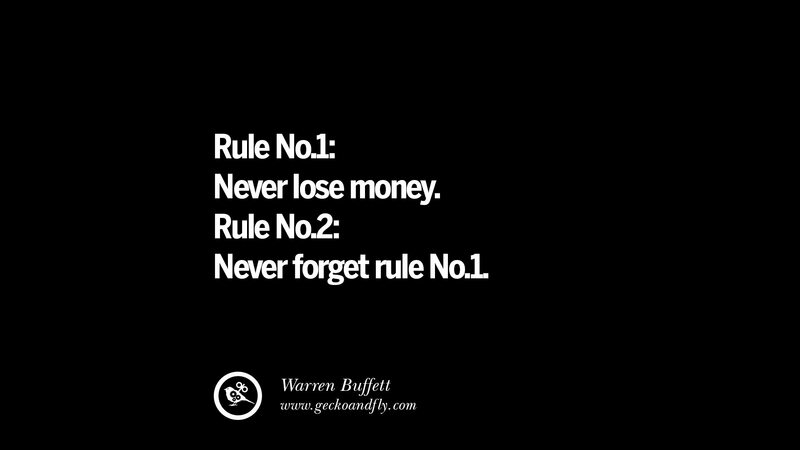 Without further ado, here are the 10 golden rules on making money. You must know how to handle the biggest of all drugs – money. 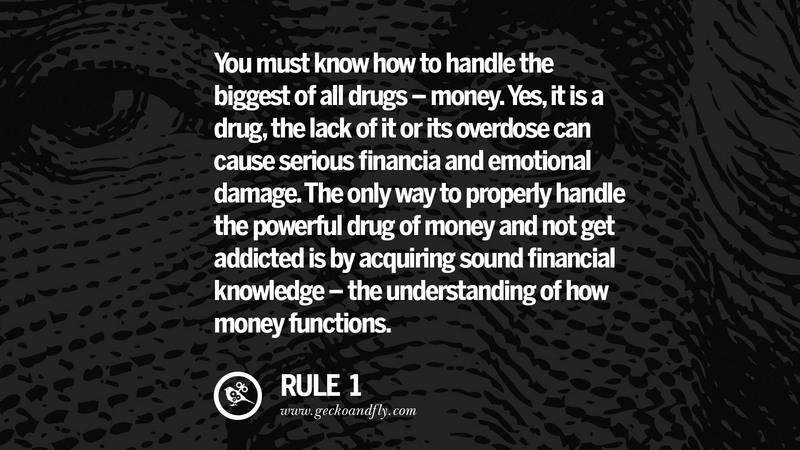 Yes, it is a drug, the lack of it or its overdose can cause serious financial and emotional damage. The only way to properly handle the powerful drug of money and not get addicted is by acquiring sound financial knowledge – the understanding of how money functions. 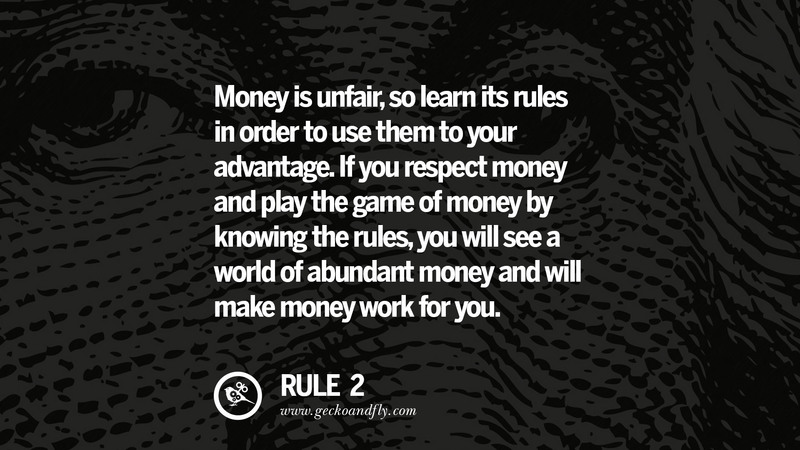 Money is unfair, so learn its rules in order to use them to your advantage. 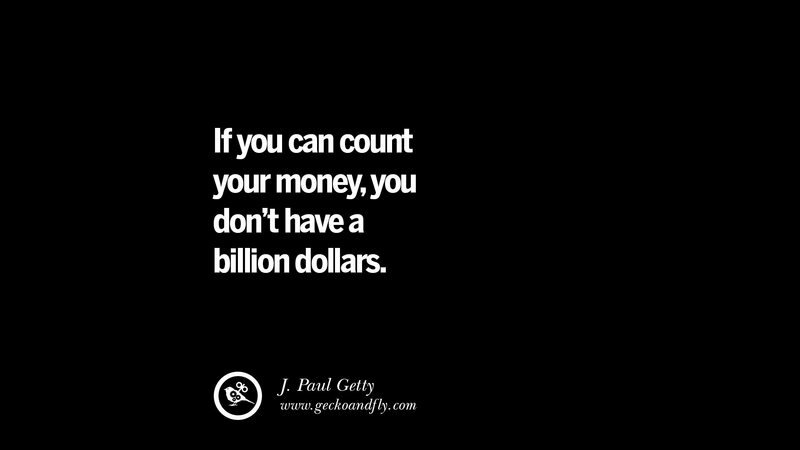 If you respect money and play the game of money by knowing the rules, you will see a world of abundant money and will make money work for you. 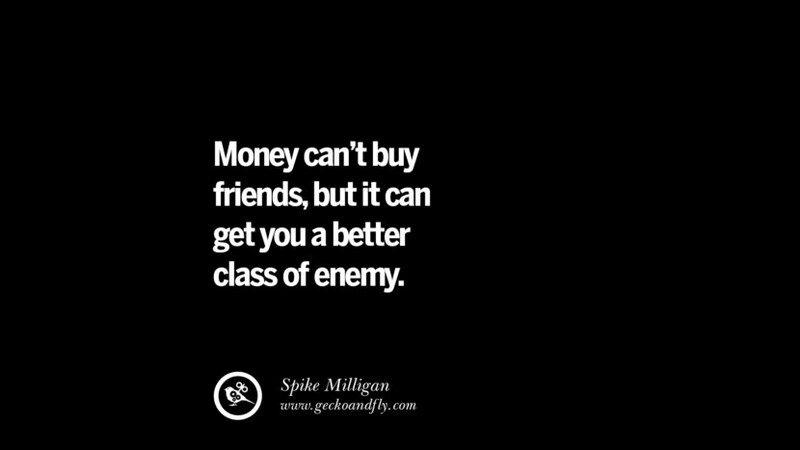 Don’t be afraid of money. 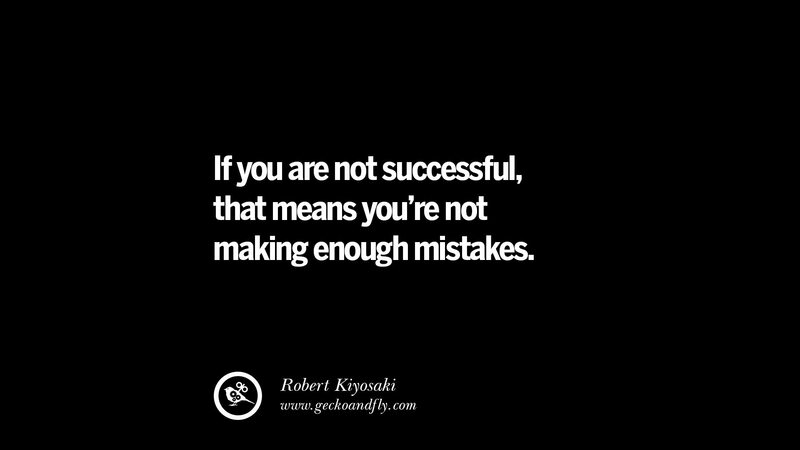 Instead face it with courage. 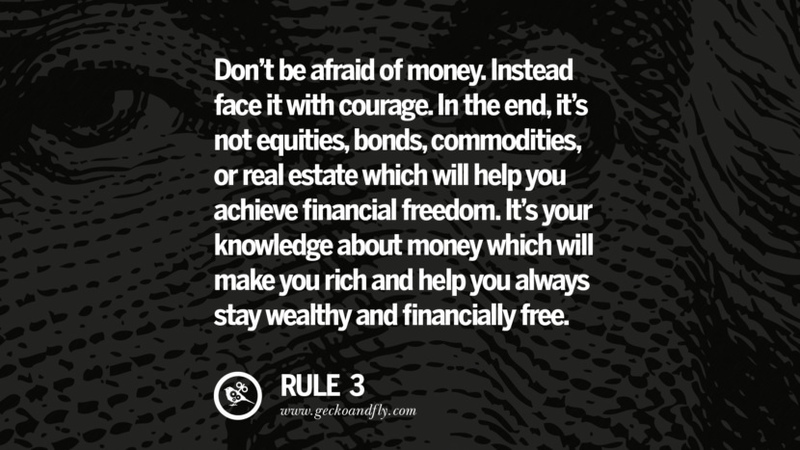 In the end, it’s not equities, bonds, commodities, or real estate which will help you achieve financial freedom. 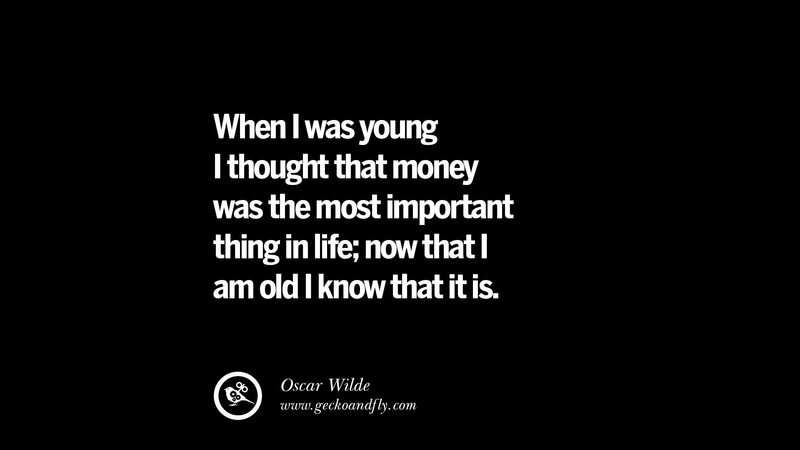 It’s your knowledge about money which will make you rich and help you always stay wealthy and financially free. 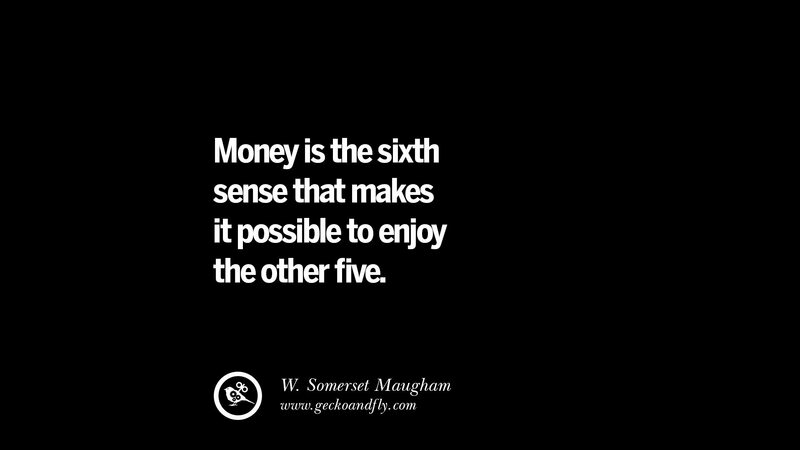 One of the important rules of money is to spend money to get rich. 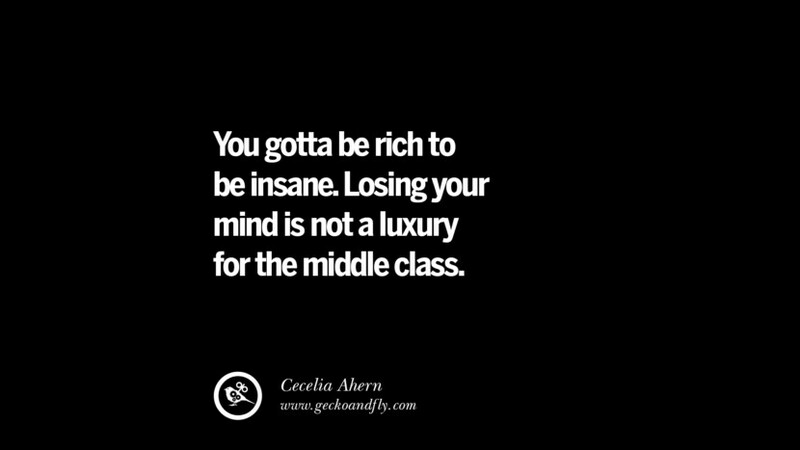 The truly wealthy people know when to handsomely spend on what and when to cut down. 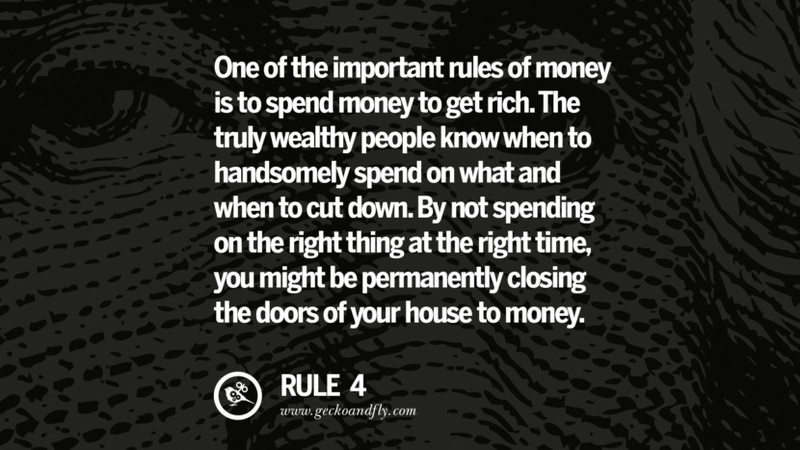 By not spending on the right thing at the right time, you might be permanently closing the doors of your house to money. 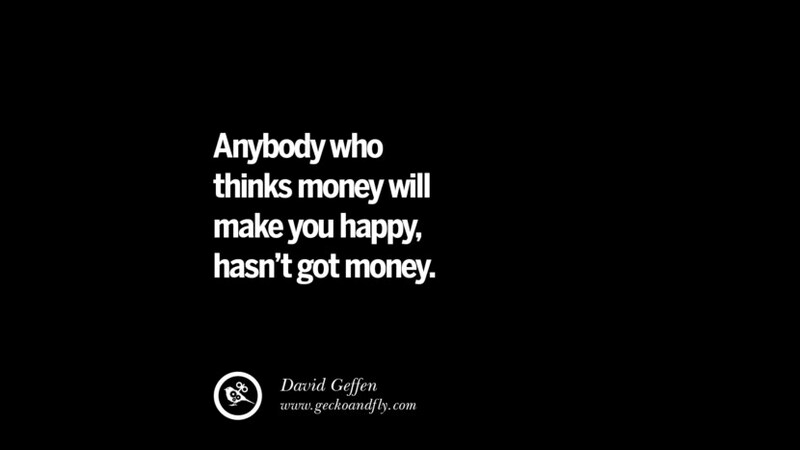 Don’t work for money; rather, let money work for you. 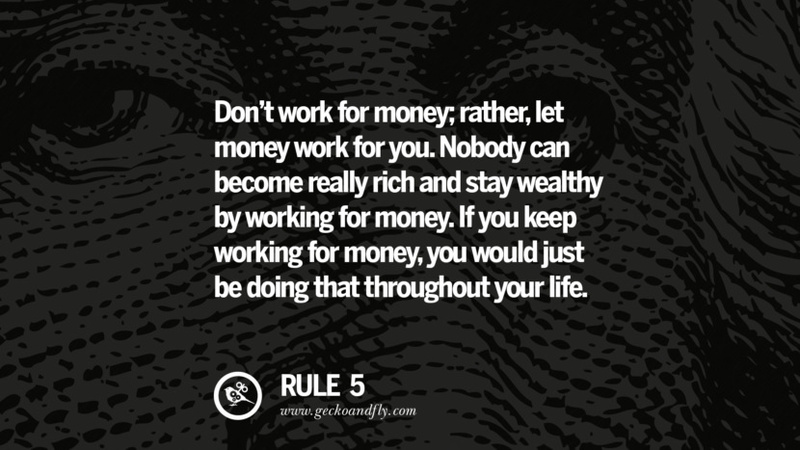 Nobody can become really rich and stay wealthy by working for money. 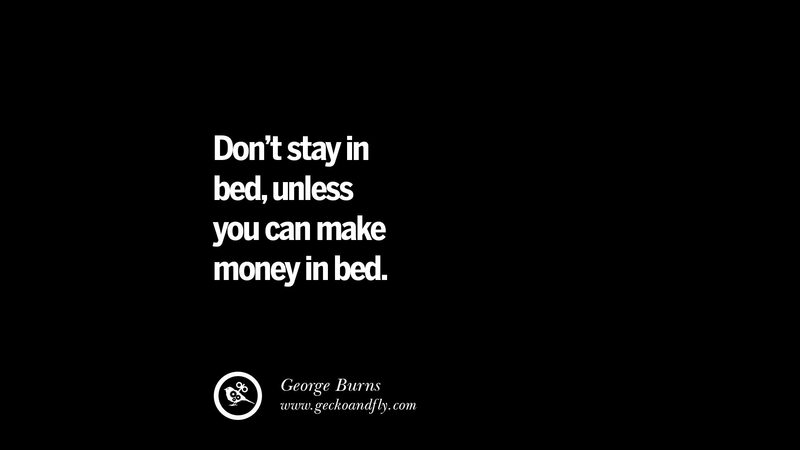 If you keep working for money, you would just be doing that throughout your life. 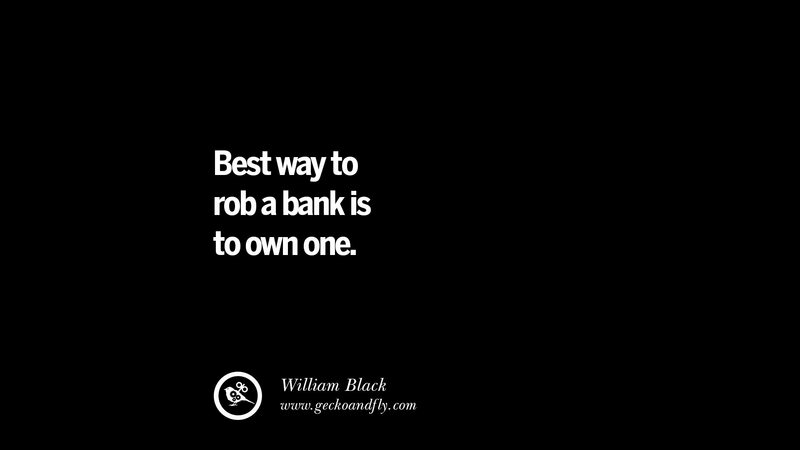 Be in control of your money. If you are not in full control of your money while dealing with it – be it in earning, saving, protecting, budgeting, investing, insuring, etc. 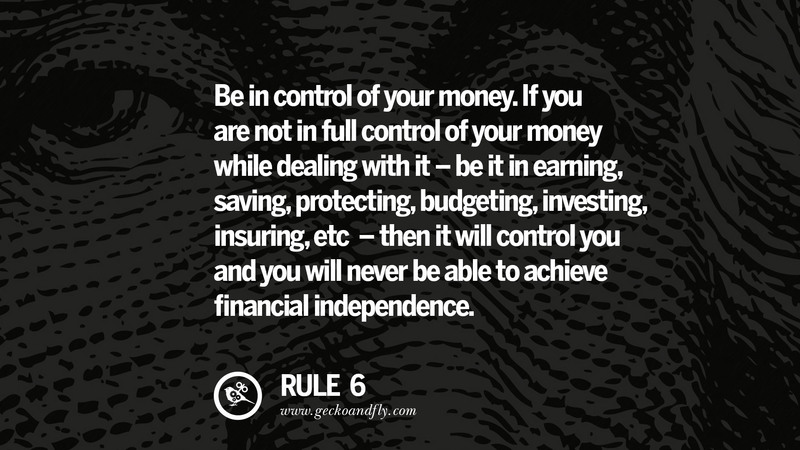 – then it will control you and you will never be able to achieve financial independence. 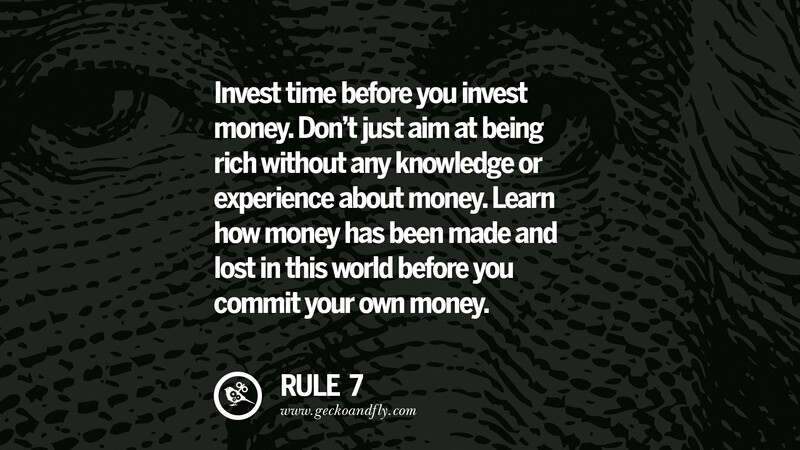 Invest time before you invest money. Don’t just aim at being rich without any knowledge or experience about money. 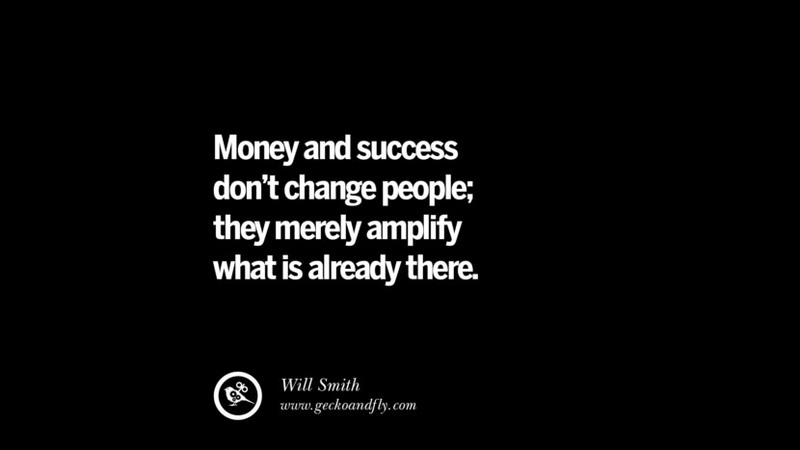 Learn how money has been made and lost in this world before you commit your own money. Don’t run after money; instead, be a financial magnet which attracts money and ensures that it always sticks around with you. Never be a slave to money; be the master of your money. 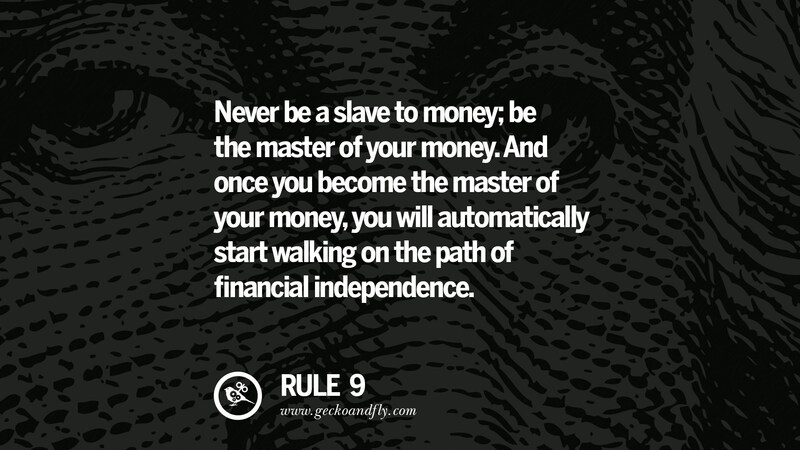 And once you become the master of your money, you will automatically start walking on the path of financial independence. 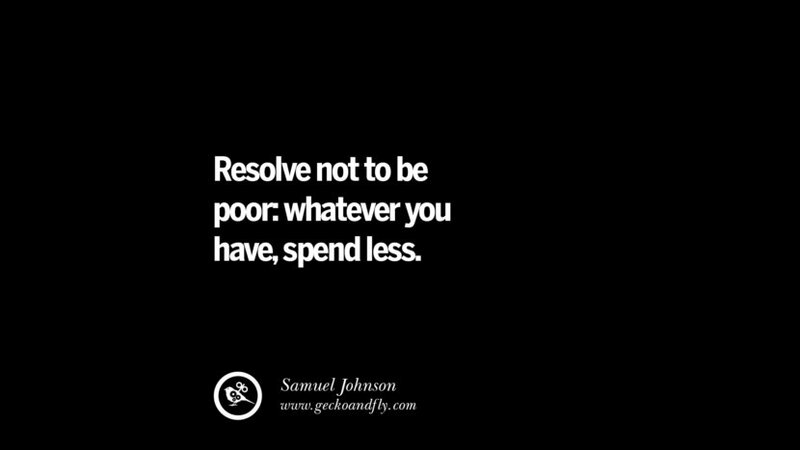 If money is your problem, money cannot be the solution; simply because the problem itself can’t be its solution. 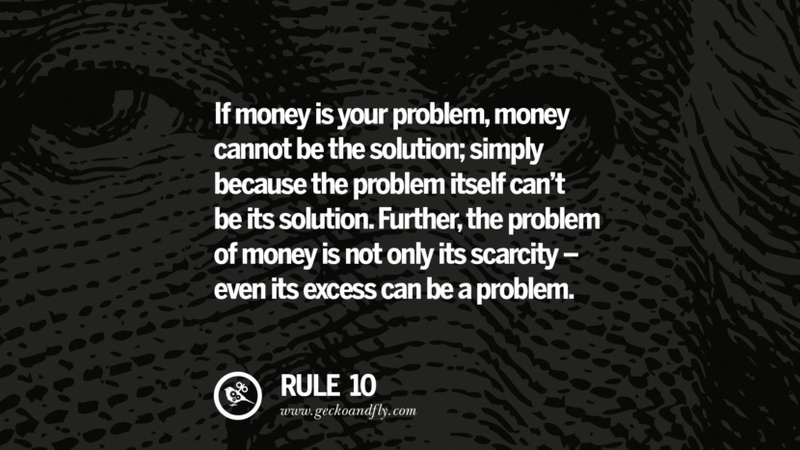 Further, the problem of money is not only its scarcity – even its excess can be a problem. KNOWLEDGE IS POWER … MONEY MAKE EVERYTHING ….. 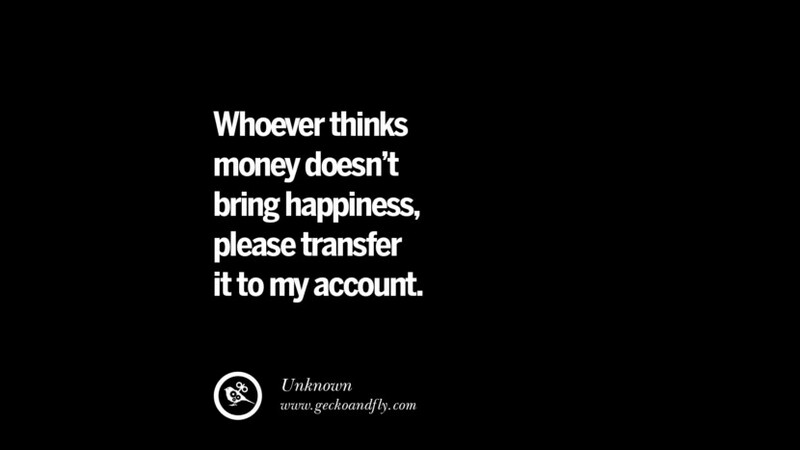 Even if substantial amount of money has been transferred to you, nothing has been changed in the universe, money is just an energy and it is just a transfer from point A to point B and that is you. 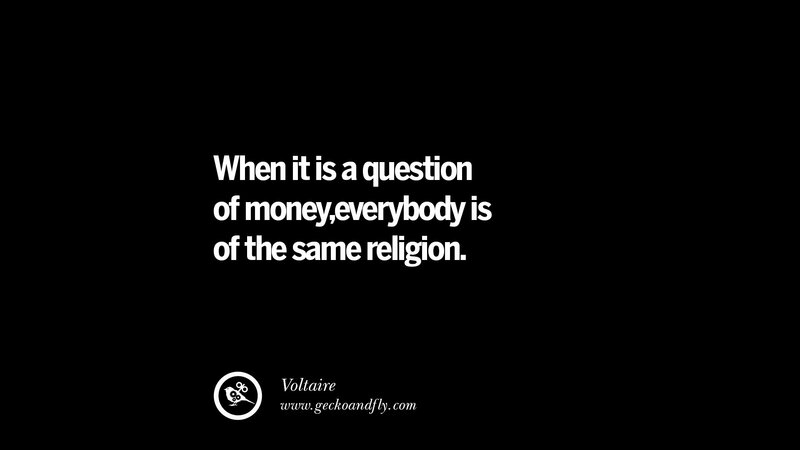 All creation is just an oscillation of wave length energy and as you focus your attention to it, it forms into visible energy of what we call money. 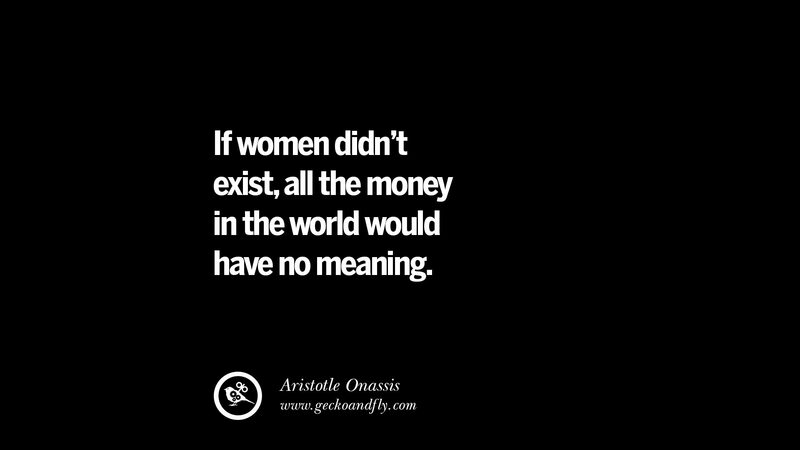 Though, action and gratitude to the Architect of the universe is needed to make it come to reality. 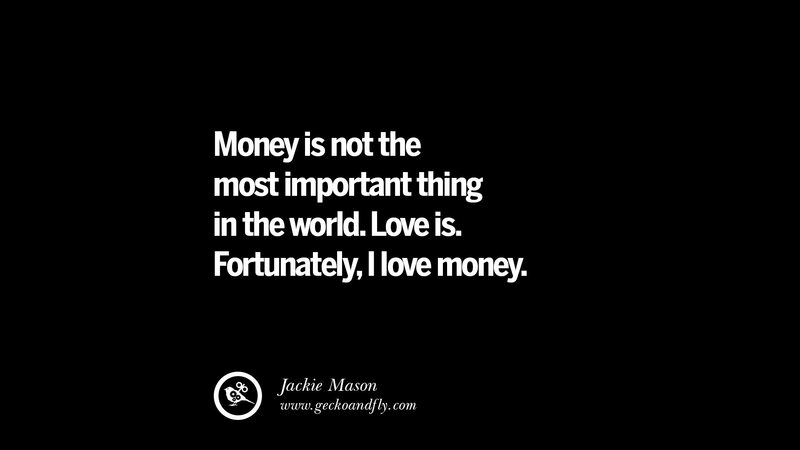 You have given very nice golden rules about money.